Whyalla News has supported the promotion of innovative mental health programs in schools over the years. Senior editor Kayleigh Bruce has written about the continuing journey of the Rational Emotive Behaviour Education in Schools Program. Though The Albert Ellis Centre has closed in Whyalla it continues to thrive at Para Hills School P-7 where teachers work hard to help students to develop positive habits of believing. As Kayleigh says in her article the REBE story began in Whyalla not too long ago and its momentum continues to grow. Thanks Whyalla. Thanks Kayleigh. Thanks whyalla News! http://ow.ly/JTInK Kayleighs article appears below. An innovative behavioural education program piloted in Whyalla has been gaining recognition in the wider public eye. Former local Giulio Bortlozzo’s work in delivering Rational Emotive Behaviour Therapy (REBT) in schools has been adopted by a number of schools in Adelaide, and featured in CBT Magazine, the official magazine of British Association for Behavioural and Cognitive Psychotherapies, last month as well as Psychology Today in America. The Rational Emotive Behaviour Education (REBE) in Schools program was written by Mr Bortolozzo based on the work of acclaimed American psychologist Doctor Albert Ellis. Described as the greatest living psychologist before his death in 2007, Dr Ellis was the creator of REBT and REBE. Mr Bortolozzo regularly corresponded with Dr Ellis before his death on his works and shared his passion for the principles of REBT and REBE and the desire to share them with others. This passion saw Mr Bortolozzo champion the idea of setting up a training centre that taught a program based on REBE principles and practice. 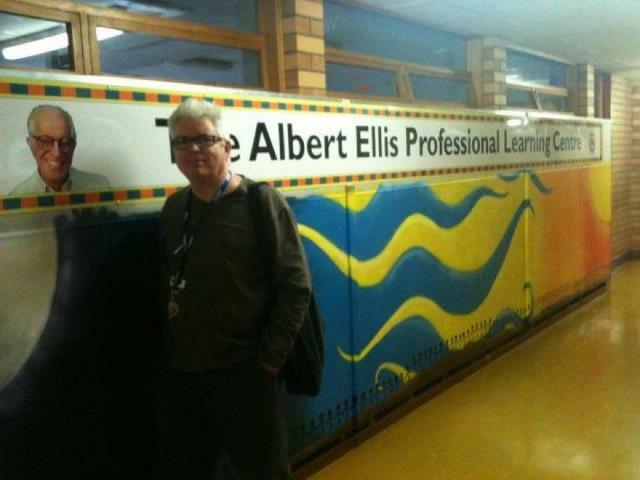 The Albert Ellis Learning Centre opened at Stuart High School in 2012 with a program of professional learning providing training for educators, counsellors and allied professionals in Whyalla and the Eyre and Western region. More than 300 people attended workshops over the following two years and teachers took their learning back to their schools. The program was successfully run at Stuart High School, Whyalla Stuart Campus R-7, Hincks Avenue Primary School, Long Street Primary School and Whyalla Stuart Kindergarten. The centre itself was the first of its kind in the world and while it was forced to close when Mr Bortolozzo relocated to Adelaide in 2014, it set a benchmark for addressing mental health issues and developing resilience in students. Mr Bortolozzo said the early foundations of the program in Whyalla had vastly helped to catapult REBE to a wider audience. “The principle of teaching people to think in healthy ways and therefore create healthy emotions is being implemented elsewhere because of the early groundwork in Whyalla,” Mr Bortolozzo said. The REBE in Schools program teaches students to develop their personal capabilities to help them be as successful and happy as they can be.